Just looking at some baseball stats and Alex Rodriguez has 1,883 career RBI’s and that makes him 414 away from tying Hank Aaron for all time #1 in RBI’s at 2,297. 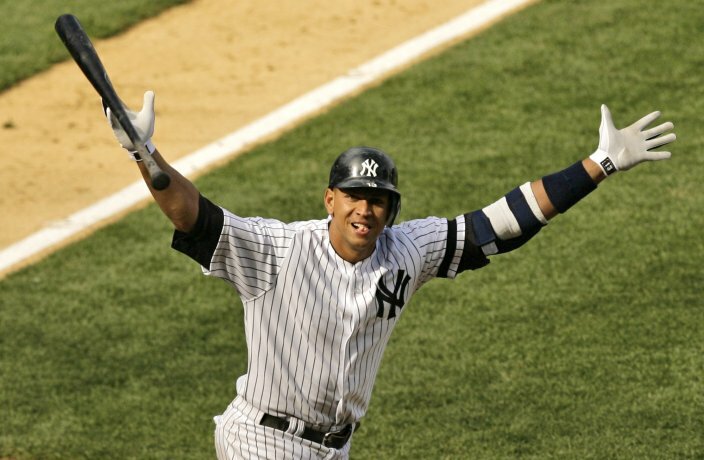 A-Rod is 35 now and I think he’s got another good 3-4 years of driving in a 100 (barring injury obviously). Lets just say for the sake of argument that he drives in 100 exactly in the next two seasons after this one (saying he doesn’t drive in another run this year, which obviously won’t happen, but anyway) that would leave him being 37 with 214 left to tie and 2 more years of being pretty good still. Now lets say over the last 2 years of being decent still he drives in 85 those years it would leave him being 39-40 and only needing 44 more RBI’s to tie Aaron for most all-time. It really does seem that if he can stay healthy he will probably become the all-time RBI king. That’s crazy. Also, he has 626 career HR’s, Barry Bonds has 762* so he needs 136 to tie him. He could get REALLY close on that one too. AND he probably won’t get 30 HR’s this year, which will make it the first time he has failed to get 30 in a season since 1997 when he had 23 and it was only his 2nd full MLB season.